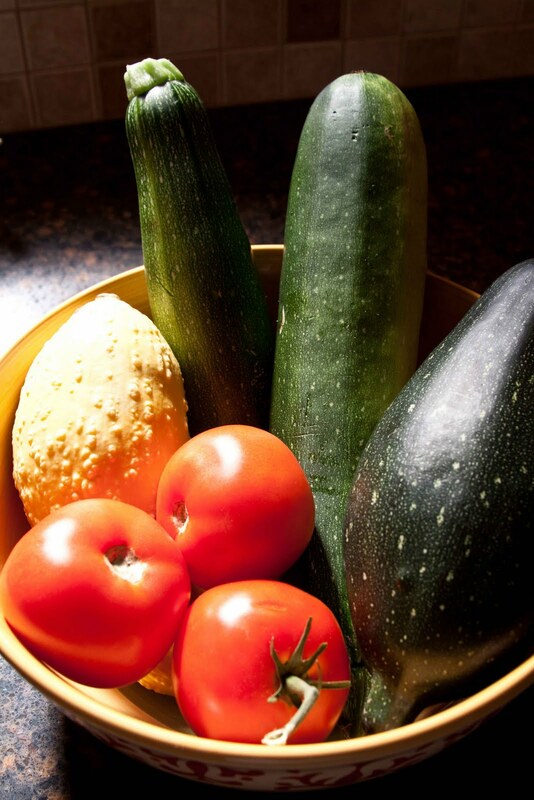 One of the best things about summer is the abundance of fresh veggies. We didn't plant our garden this year but we have been fortunate that a few of our neighbors have extra produce from their gardens. And they like to share. This bowl is fresh from two of our neighbors' gardens and is only a small selection of what we were given. So what do you do with all that zucchini? This morning we had this for breakfast. 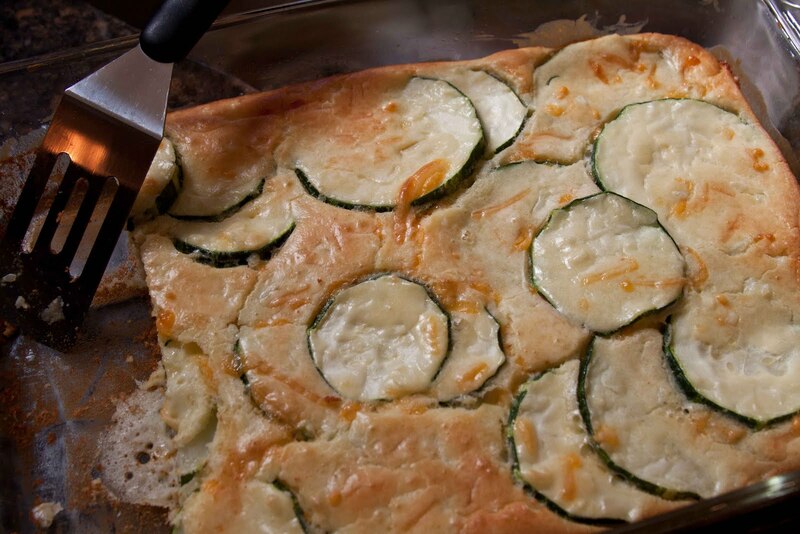 It's a heavenly combination of eggs, cheese, flour, onion and zucchini. Yummmmmm. Want the recipe? 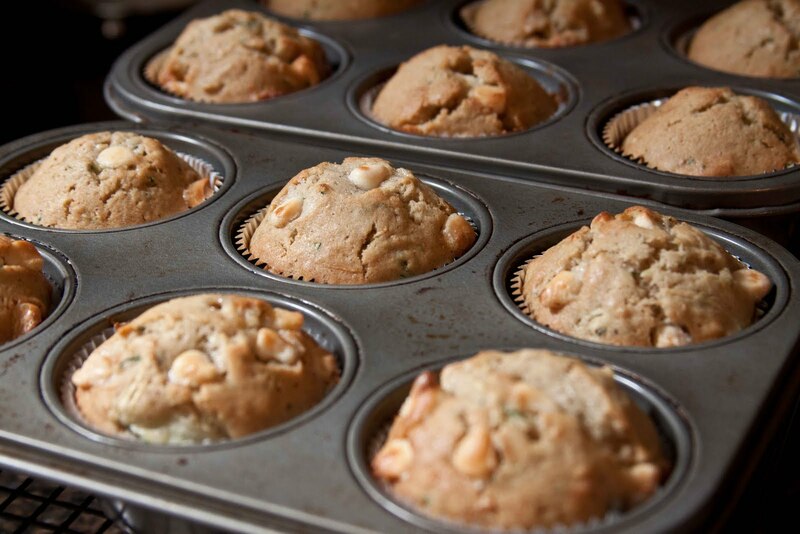 And then for a mid-morning snack, we had one of these muffins. 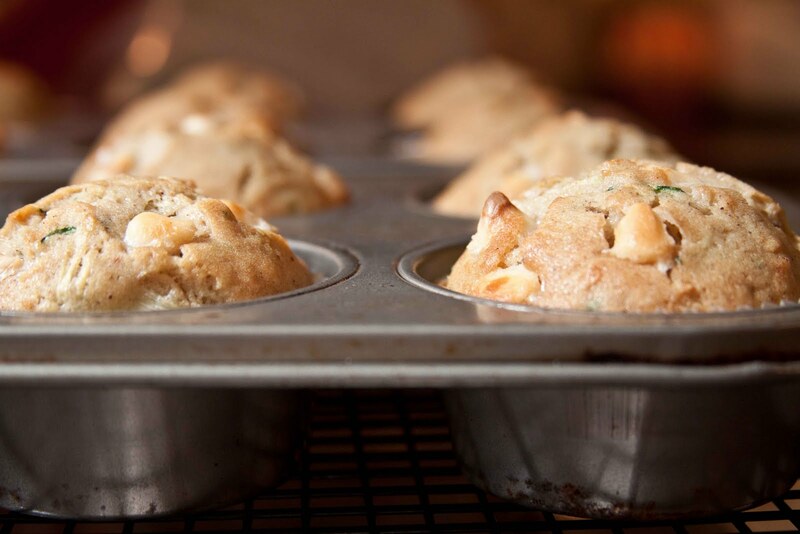 Who knew white chocolate chips went so well with zucchini? 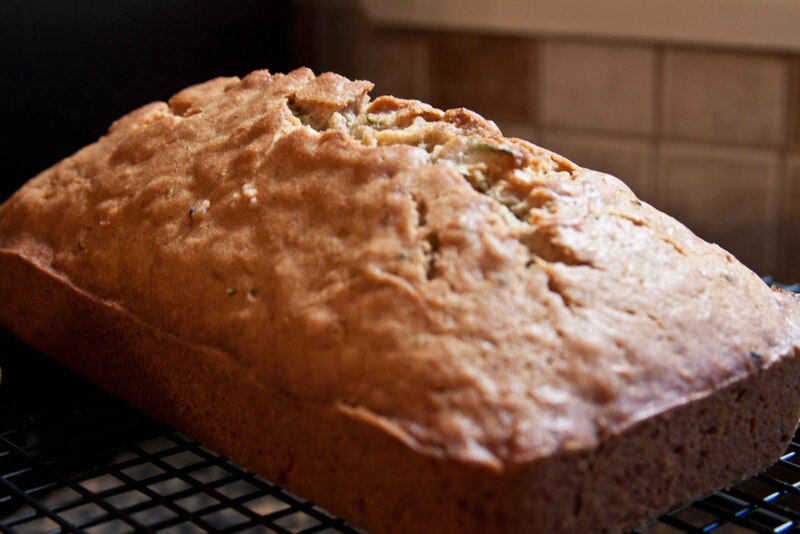 And then for dessert tonight, we had some zucchini bread. I'd say we got our recommended allowance of veggies today. Thank you neighbors! I will be dropping some of these treats off to the neighbors. Got to make sure to keep those veggies coming our way. A friend posted a recipe for Chocolate Chip Zucchini Cookies on FB. They looked wonderful!